The rebellion begins this Sunday. The trailer for the upcoming animated series "Star Wars Rebels" will premiere in a global, multiplatform debut on Star Wars Day, SUNDAY, MAY 4th – also known as "May the 4th Be With You," the unofficial fan-driven holiday celebrating Star Wars. In the U.S., Disney XD will feature the "Star Wars Rebels" trailer during the premiere of LEGO's "Star Wars: The New Yoda Chronicles" at 7:00 p.m. ET/PT. Additionally, the trailer will air on Disney Channel, ABC, ABC Family, Fusion, ESPN, ESPN2 and ESPN3 at varying times throughout the day. 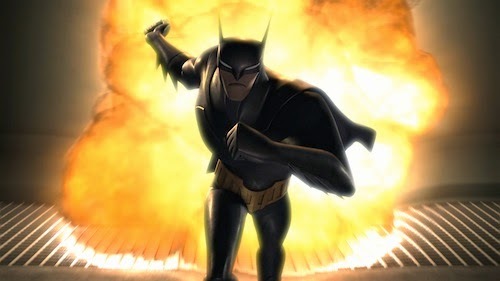 The trailer will also debut on Disney XD and Disney Channels in countries spanning across Europe, Middle East, Africa, Southeast Asia, Latin America and Australia – reaching approximately 105 million households in over 50 countries, across six continents and over 20 time zones. Big news ahead of May the Fourth! The Star Wars Team are thrilled to announce the cast of Star Wars: Episode VII. 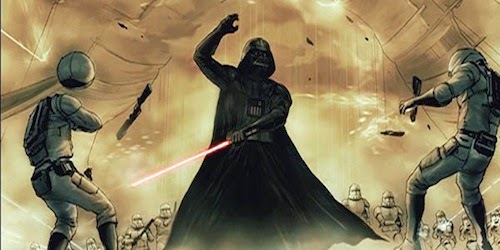 Star Wars: Episode VII will be directed by J.J. Abrams from a screenplay by Lawrence Kasdan and Abrams. Kathleen Kennedy, Abrams, and Bryan Burk are producing, and John Williams is returning as the composer. The movie opens worldwide on December 18, 2015. I remember the moment I walked into WHSmith and picked up a copy of Timothy Zahn's Heir to the Empire! Zahn's book reignited the Star Wars franchise, which lead to Dark Horse Comics' lauded Dark Empire graphic novel, new action figures and my all-time favourite FPS: Dark Forces. Good times! Under Lucasfilm President Kathleen Kennedy's direction, the company for the first time ever has formed a story group to oversee and coordinate all Star Wars creative development. Some might argue it's an elegant way to maximise monetization of the brand. "We have an unprecedented slate of new Star Wars entertainment on the horizon," Kathleen Kennedy said. 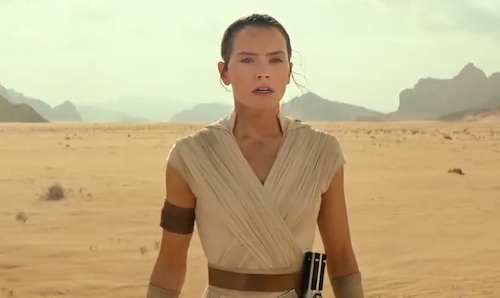 "We're set to bring Star Wars back to the big screen, and continue the adventure through games, books, comics and new formats that are just emerging. This future of interconnected storytelling will allow fans to explore this galaxy in deeper ways than ever before." To preserve the element of surprise, the new Star Wars trilogy will not tell the same story told in the post-Return of the Jedi Expanded Universe. Fair enough. Later this year fans will get a taste of the rebooted universe in Star Wars Rebels when the new series exclusively premieres on Disney Channel. 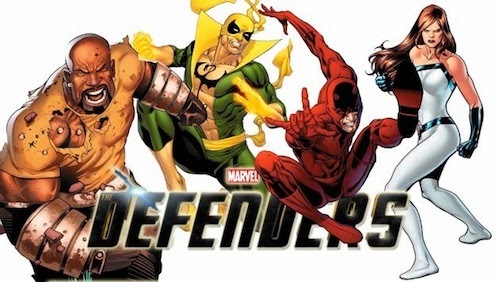 Followed by all-new comics from Marvel in 2015. Hate this? Love this? What's your thoughts? An interest in purchasing a Wii U has been piqued by Mario Kart 8 and the allure of an official bundle this May. The £249.99 Mario Kart 8 Premium Pack includes a 32GB black Wii U Premium console, black GamePad controller, the Wii U's sensor bar and a physical copy of Mario Kart 8. A special edition bundle featuring either Mario or Luigi is available exclusively from Nintendo. 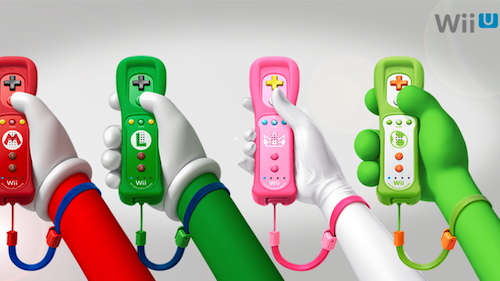 The Wii U has failed to reprise the blockbuster sales of the Wii! However, Mario Kart 8 may be the fillip the console needs and platform exclusive Bayonetta 2 beckons. 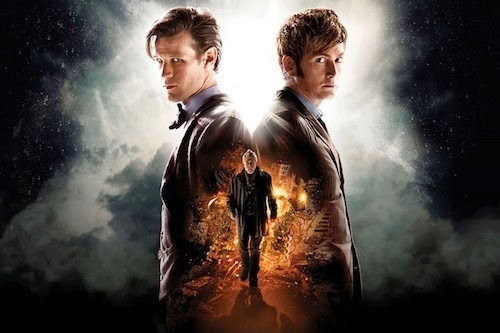 Amazon has inked a deal with BBC Worldwide to add Doctor Who and Sherlock to its Prime Instant Video streaming service. Emphasising the company's continued investment in quality content for its members. These award-winning drama series are already available on Netflix. However, more classic Doctor Who serials would be welcomed. In other Amazon-related news. The online giant is buying ComiXology for an undisclosed amount. This could have far-reaching implications for the comic book industry. Amazon Prime Instant costs £79 for a yearly subscription. 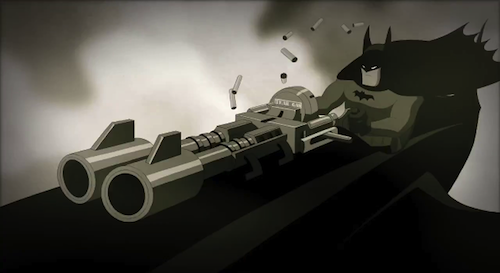 Bruce Timm's Batman: The Animated Series, inspired by Tim Burton's movies, is the quintessential incarnation of the Dark Knight and introduced fan favourite Harley Quinn. In an interview with Collider, Karen Gillan talks Oculus, Guardians of the Galaxy and Star Wars. 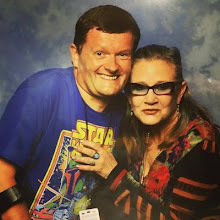 "They made my hair into the most incredible well-made wig and they gave it to the 'Star Wars' people," she said. "But also, everyone kept me in good spirit. Everyone was laughing and telling jokes. Marvel are the best company to work for, they really are. They treat you really well." The news isn't without controversy. Some Star Wars fans argue this is a spoiler pertaining to Expanded Universe character Mara Jade. 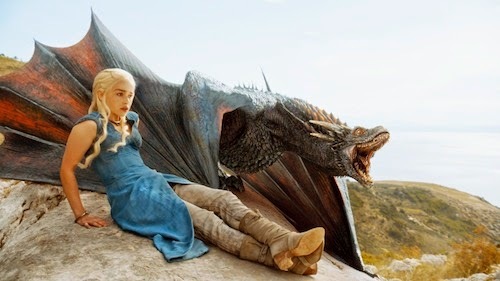 Talking spoilers. Keep a lookout for an upcoming co-authored blog post on the subject. 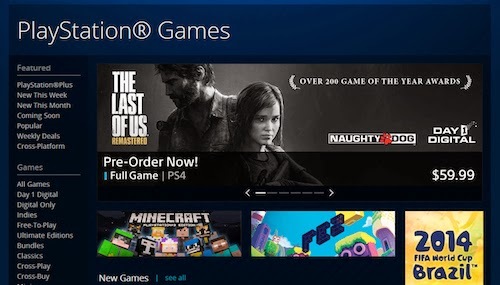 Sony accidently posted this banner art for The Last of Us: Remastered! It briefly appeared on the Sony Entertainment Network, but the pre-order link lead to a "Page not found" notice. Purportedly the PS4 port will include the Left Behind expansion and all Season Pass DLC. A Sony spokesperson told Polygon that "At no time have we announced that The Last of Us is coming to PS4 and therefore, have nothing to say on the subject." The award-winning title was a PS3 exclusive released last year. Sony's confirmed the release of the much-anticipated game this summer! 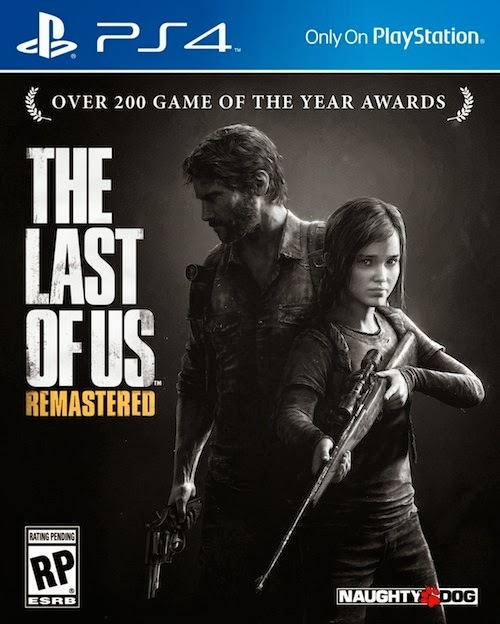 The PS4 edition will feature increased graphical fidelity and in-game cinematic commentary from actors Troy Baker (Joel) and BAFTA-winner Ashley Johnson (Ellie). Creative director Neil Druckmann took to Twitter to add that Naughty Dog is targeting the holy grail of 60fps for the game. I rarely double-dip, but this is a day-one purchase. You can pre-order today. 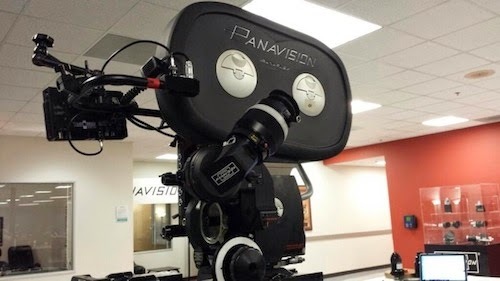 A movie adaptation has been green-lit by Screen Gems, a division of Sony Pictures Entertainment. Who would you like to see play Joel and Ellie on the big screen? The Hollywood Reporter has exclusively revealed Chewbacca (Peter Mayhew) will be joining R2-D2 in Episode VII! Rumours suggest the new Star Wars movie has already begun shooting. However, no further cast announcements have been made. 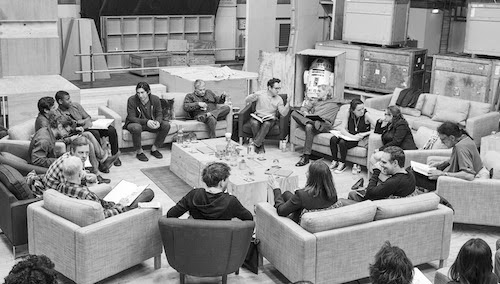 Perhaps JJ Abrams is going to wait until May the Fourth to confirm the rest of the returning cast members from the original trilogy? 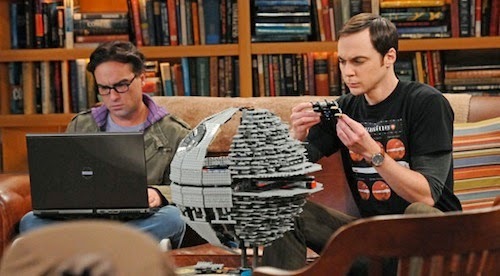 Star Wars references are nothing new to hit comedy series The Big Bang Theory. However, this is something special. Sheldon and friends travel to Dagobah with help from those fine folk at Lucasfilm. "The Proton Transmogrification" airs May 1st and sees the gang celebrate May the Fourth while Sheldon (Jim Parsons) has visions of his childhood mentor, Professor Proton (Bob Newhart), acting as a personal Jedi Master. "We were approached by the Lucasfilm people to do something to celebrate Star Wars Day, which was nice," co-creator Chuck Lorre told The Hollywood Reporter. 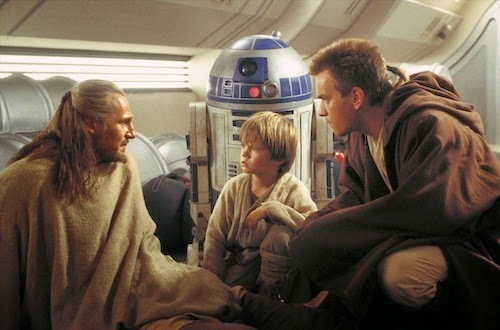 Added showrunner Steve Molaro: "We knew that Bob was coming back and Lucasfilm called us, and we realized that that this might be an opportunity to mix both stories and come up with something special." Yes, there will be lightsabers. For years speculation has surrounded an Amazon streaming device. Not so much if, but when. Today the company tardily unveiled its Fire TV during a live media event in New York City. The new Android-based streaming device apes the Kindle HDX form factor sans built-in screen, boasts triple the processing power of Apple TV, Chromecast and Roku, and features voice search FTW. Voice search works with the bundled Bluetooth remote's microphone. With Fire TV you simply speak the title, actor, or genre into the remote and you're done. It's a simpler solution to Microsoft's Kinect. X-Ray for Movies & TV by IMDb brings second screen integration much like Xbox SmartGlass. You’ll be able to look up actors, music, or other IMDb-provided details, as the content plays on your TV. Amazon says that X-Ray will add support for iOS devices later this year. Amazon is not only taking on Apple, Google and Roku, but has Ouya in its sights too. As rumoured, a dedicated controller accessory is available to play games on the Fire TV. The diminutive set-top-box will play games like Minecraft, Asphalt 8 and a few other games at an average price of $1.85. Thus beating Apple to the punch in offering apps and games. Fire TV will host lots of apps aside from Prime Instant Video. Including Netflix, Hulu, Pandora, YouTube, Crackle, Showtime Anywhere and many more. 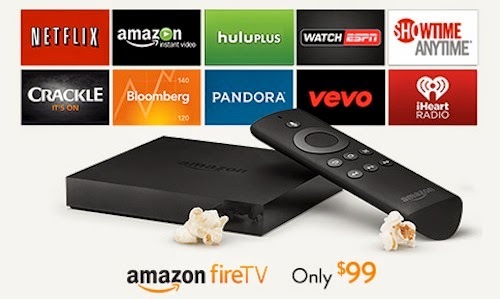 Amazon Fire TV ships from today in the US for $99. There's no word on an international release and that's where Apple TV dominates. The streaming wars just got more intense. However, do consumers need another box? This isn't an April Fools' joke! Star Wars creator George Lucas, actor Mark Hamill, and sound designer Ben Burtt discuss the concept and creation of the lightsaber. 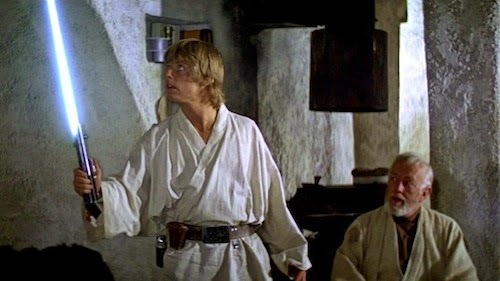 The Birth of the Lightsaber was first seen as a special feature on the original Star Wars trilogy's DVD box set in 2004, but this marks the first time the video has made its way onto the internet in an official capacity.